How do I find out what version of ArtRage I am using? To locate your ArtRage version, open the Help menu and click on ‘About ArtRage’. You will see the version number at the bottom right of this window. If you are using the 64 bit version, it will also say so here. Link to this item: How do I find out what version of ArtRage I am using? This app has been discontinued and replaced by a universal version of the full iPad app. ArtRage for iPhone provides 8 painting and drawing tools with a set of variant types for a range of painted effects. The ArtRage painting simulation is still in there, letting you spread and blend thick oils, or bring out canvas textures with shading pencils, and the interface has been designed for quick and convenient operation on a handheld device. ArtRage for iPhone lets you share your paintings with other versions of the application, via the iTunes file sharing system or by email. ArtRage for iPhone discontinued 16th August, 2017, replaced by version 2.2.0 of the iPad app which is now a universal iOS app. Updated for iOS 8 and larger phone screen resolutions. Fixed a bug that caused rendering artefacts on the iPhone 6 Plus – Paintings were being created properly but displayed with white bands. Fixed a problem that could cause paintings to be created at 1/2 screen resolution on Retina devices. Added support for iPhone 5 screen resolution. Added properly upscaled tool icons for the tool pod on Retina Display devices. Improved the reliability of 3 finger tap to show/hide the toolbar. Fixed a problem that could cause paintings to fail to generate a thumbnail preview in the gallery if they are too large (eg. Retina display paintings displayed on a non Retina iPhone). Fixed a problem that could cause the Merge buttons when editing layers to update incorrectly after deleting or moving layers. Fixed a problem that prevented emails with Painting files attached correctly opening the Painting in ArtRage when tapped. Fixed a crash bug that would happen on iOS4 when returning to the gallery. You should now be able to manage your files properly. This was due to an unsupported feature relating to gallery rename gestures. Replaced the non-working loaded palette knife preset. Please note that you may need to uninstall the app and reinstall it to see this change made, as the presets use files that the installer may not clean up. Before doing this, please back up your files. This first official edition of ArtRage has a slightly confusing history. It was released as multiple editions for different audiences, companies and platforms, but over time it has become a single program, as the ArtRage 2.6.0 supported all of them. The original internal updater (Auto Update system) is no longer compatible with our website. Updates need to be downloaded from the Member Area. If you try and update from within ArtRage, you will see an error message. ArtRage Full & Plus Editions (purchased directly from us). ArtRage Wacom Edition – Euro Languages (received with a Wacom graphics tablet). ArtRage Plus Edition (retail or download from Smith Micro). ArtRage Deluxe Edition (retail or download from Smith Micro). 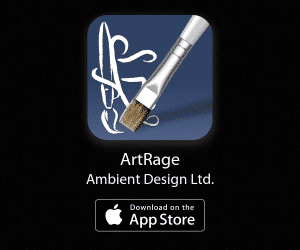 The ArtRage Starter Edition (free demo) was originally named the Free Edition. The demo has been discontinued and has been replaced by the ArtRage Demo versions. The ArtRage 2.5 UMPC Edition contained all the features of the ArtRage 2.5 Full Edition with a more compact interface designed to make best use of the screen space available on Ultramobile PCs. ArtRage 2.6 is now two editions behind, and no longer updated. It is may still come with the purchase of Wacom tablets or other third party hardware, but this is not something we control. We do not sell it directly. If you have problems using, we are happy to help you with them, but there are unlikely to be any more updates to 2.6. If you own ArtRage 2.6, then you are eligible for a 50% discount when upgrading to our latest edition.For more information, see ArtRage Upgrades. You can learn more about the different versions here: What are the different ArtRage Editions? Multitouch Support Implemented: ArtRage 2.6 now supports the same Multitouch functionality as ArtRage Studio and Studio Pro. Multitouch gestures can be used for moving, scaling and rotating the canvas, references and stencils. This system supports Win7 Multitouch and Wacom touch systems. Extended Language Support: ArtRage 2.6 now supports a wider range of languages: English, French, German, Spanish, Italian, Dutch, Greek, Turkish, Russian, Latin American Spanish, Portuguese, and Brazilian Portuguese. Manuals are available in English, French, German, Italian and Turkish. DPI support has been added for all exported image types. Updated preferences to include Ink Services on/off support in the preferences menu and to prompt before checking for updates for systems that had problems when auto-checking. Fixed a number of internal bugs found in the 2.5 version including a crash that could occur on some machines when using the default ruler. Added a variety of new stencils that were previously only available in the Plus edition. In response to a file format problem that was found in ArtRage 2.5.20 Starter Edition we have re-uploaded the file as of Feb 26th. The version now available is also 2.5.20 but should be downloaded and installed in place of the previous one to solve incompatibilities between its file format and other versions of ArtRage. Fixed a general problem encountered on some Tablet PCs including Lenovo PCs whereby the Airbrush would not work when using the stylus. Fixed some paint removal problems when merging groups that have blend modes. Fixed a bug that could cause problems when importing some PSD files saved out from Alias Sketchbook Pro. Fixed a bug that caused exporting a layer to PSD format to pick up bump from layers beneath the exported one. Fixed a bug in Paint Roller loading when using it at large sizes with low pressure values. Fixed potential problems with the Wacom Edition recognising the presence of Wacom tablet drivers on OSX Leopard. Fixed a problem that occurred in ArtRage on some machines where the base language of the OS was not English. This new update contains all of the features of the ArtRage 2.5 Full Edition for users of ArtRage 2 received with Wacom Volito and Bamboo tablets. The 2.5.18 update to the ArtRage 2.5 Starter Edition has been released. This new download fixes a problem running the Starter Edition on Mac OSX Leopard, and some other fixes on both OSX and Windows. The team are proud to announce the release of ArtRage 2.5 Plus, the first version of ArtRage to ship on CD. The ArtRage 2.5 Plus box contains a full colour, 80 page manual, and a hybrid CD for Windows and Mac OSX. The CD contains ArtRage 2.5.18 Full Edition (which will run on Mac OSX Leopard), Videos of paintings done with ArtRage, and other files. The 2.5.18 update contains fixes for problems in ArtRage under Mac OSX Leopard, and other bug fixes for both platforms. This update fixes a crash bug that could occur on some systems when selecting tools from the Toolbox Panel (Zoom, Move, Rotate). ArtRage UMPC Edition has now been updated to version 2.5. ArtRage now informs you if you are attempting to paint on a layer that is currently hidden, and prevents the paint being applied to avoid confusion. Fixed a crash that could occur when resizing large canvases. Fixed a bug that could cause a blank layer to be created when merging a hidden group. The brush preview in the Tool Picker now updates correctly when you toggle lighting on/off with F5. Prevented the ruler’s angle from going negative. Corrected the result of merging groups that existed within semi-opaque groups, the merged result is now at the correct opacity for the original group, not that of its semi-opaque parent. Fixed a bug that was causing a print dialog to appear on Windows when pressing Alt and Shift in ArtRage. Stencils & Rulers: ArtRage 2.5 Starter Edition gives you a ruler to use in your paintings. Press ‘F’ to bring up the Stencil Picker, or click the Stencils button on the new Toolbox Panel to access the Ruler. Toolbox Panel: The bottom of the ArtRage window now has a Toolbox Panel, from which you can access your Ruler and Tracing Images. Changed the system for loading Colour Swatches and Paper Grains on OSX: The file dialog that was used to load the files could not navigate in to the ArtRage application bundle. Because we installed all of the sample colour swatches and custom grains in to the application bundle, you couldn’t load them. So, the application now copies those files to the Application Support / Resources folder the first time it needs them and allows access as per OS expectations. Changed the Windows installer so that in the ArtRage 2 folder in the Start Menu, the shortcuts to the manual files are inside a Manuals folder rather than all lumped in the main folder. Fixed a bug that caused problems when using Undo after changing a paper grain. Paper grain issues could cause a crash, the grain changes are now correctly stored in the Undo system. Fixed a bug that could cause a crash in Quicktime on OSX 10.4.10 on some machines when loading the internal metallic environment map. Fixed a rendering problem with the ‘Replace’ Bump Blend Mode that could cause blocky artifacts around bump on low opacity layers. Fixed a bug that would cause ArtRage to display ‘UNLICENSED’ in the about box for users who had installed previous versions. Fixed a bug that would cause the menu bar and toolbox to open in an odd position when restarting ArtRage after hiding the panels. Fixed an error that could occur on exporting a layer as a PSD file. Pressing F6 to show/hide stencils now checks to see whether most are already shown/hidden and makes the majority confirm to the minority first. Fixed a Windows installer bug that prevented French and German versions from displaying the License file when installing ArtRage. Fixed a bug that could cause the paper grain to fail to update when reloading a Painting file on OSX, the grain in the file could be replaced by the default. Fixed the German localisation, An and Aus from the tool control toggles were inverted. Fixed a bug that could cause a crash while copying a layer on OSX 10.3.9. Fixed a bug that would invert the colours in copied layers on the clipboard on OSX Intel. Fixed a bug that prevented ArtRage recognising Canvas Size presets if there was no Canvas Size folder in its local Presets folder, even if there was one in the Application Support location. Fixed a crash bug that could occur on merging groups. Stencils & Rulers The Stencil Picker allows you to add Stencils and Rulers to your painting, for creating precise shapes, straight lines, and curves. Press ‘F’ to bring up the Stencil Picker, or click the Stencils button on the new Toolbox Panel. For more information, see the ArtRage Manual. Layer Content Transformation You can now Move, Scale, and Rotate the contents of Layers using the Transform Layer Contents option in the Edit Menu. Copy & Paste You can now copy the contents of a Layer using the Copy Layer to Clipboard option in the Edit Menu. You can Paste the contents of your clipboard to a new Layer using the Paste Clipboard to New Layer option in the Edit Menu. Layer Groups & Layer Names You can now add Layer Groups, and name your Layers and Groups. For more information, see the Layers section of the manual. Resolution Support In the New File or Resize panels you can now set the size of your image using pixels, inches, centimeters, or millimeters. You can also set the DPI resolution of your image. Smooth Blender The Palette Knife now has a Smooth blending option which can be found in the Type picker of the Tool Controls Panel when the Palette Knife is selected. Precise Pencil The Pencil now has a Precise option. Turning this option on makes your pencil sharper and more like a mechanical pencil. This option can be found in the Tool Controls Panel when the Pencil is selected. Mousewheel Zoom The Mouse wheel on a mouse, or the Zoom Strip on Wacom Intuos 3 tablets can now be used to zoom the canvas. Recent Files List You can access a list of recently used ArtRage files in the File Menu. More Image Formats ArtRage 2.5 supports more image formats for Import and Export. Internal Updater The ArtRage Updater has been built in to the application to make it easier to download and install updates. Toolbox Panel The bottom of the ArtRage window now has a Toolbox Panel, from which you can access your Stencils, Tracing Images, and Reference Images. Layers Panel The Layers Panel has been moved to the right of the window for easier access. Color Samples Panel The Color Samples Panel that used to be on the right hand edge of the window is now a floating panel. You can bring it up by pressing ‘S’, or using the Show Color Samples Panel option in the Tools Menu or Color Picker menu. You can also name your color samples. Languages ArtRage now supports English, French, and German from the same install. You can select your language from the Help menu. OSX Application Bundle ArtRage now contains all of its resources internally on OSX so you don’t need to store a folder alongside the application, you can just install ArtRage 2.5 directly to your Applications Folder. OSX Window Resizing The ArtRage window can now be manually resized on OSX using a resize handle at the bottom right. Crash Recovery On Windows ArtRage attempts to save out your work to a temporary file (arrestart.ptg) if the application crashes. Import To Layer You can now import an image to a new Layer in the current document, rather than having to import to a new document. Use the Import To Layer option in the File menu. Bump Blend Modes The way ArtRage layers the volume of paint on Layers can be controlled from the Bump Blend Mode menu in the Layer Menus. Canvas Zoom Shortcut Holding down Shift + Space and click-dragging the canvas, or holding down Shift and right click-dragging the canvas zooms it. User Content Support Shifted User content such as Custom Pickers, Canvas Size Presets, Stencils, Canvas Presets etc. have been shifted to the user’s Application support folders. For more information, including information on how to move your ArtRage 2.2 content to ArtRage 2.5, see the ArtRage Support forums. Reference Image Persistency Reference Images are now saved with your painting files. Improved Vista Support ArtRage 2.5 is Windows Vista Certified and supports Tilt and Rotate when using Ink Services under Vista. Light Switch If you want to turn off the lights in your image, to remove the appearance of volume for the paint, you can do so by pressing F5. Export of Channels For technically minded users, selecting ‘Export Layer…’ from the Layers Menu while holding down Shift will export the contents of that layer to multiple image files for each channel (Color, Bump, Shininess, Reflectivity). Toggle stencil display Pressing F6 will show/hide all the stencils on the canvas. Fixes a bug that prevented the Wacom Edition from running on Windows Vista. ArtRage 2.2 Free Edition is compatible with Windows (2k, XP, Vista) and OS X (10.3.9 upward, PPC or Intel, Universal Binary). Mac OS X Universal Binary: ArtRage 2.2 OS X is now a Universal binary for PPC and Intel Macs. It will run on OS X version 10.3.9 or higher. Felt Pen Options: We have enabled the tool settings of the Felt Pen so that you can play around with more detailed pens. Magnified Precise Cursors: There is a now an option in the Preferences Menu to magnify the Precise Cursor to make it more visible. Color Sampler: Added options to the color sampler to sample the true paint color if required. Tablet PC Numeric Entry: Adjusted the Tablet PC build so that using handwriting recognition to enter text in to the ArtRage numeric text entries is easier. Progress Bar: Added a load progress bar when launching ArtRage by double clicking a file. Show Panels Notice Fading: When you right click or press Enter to hide the panels, the notice telling you how to bring them back now fades out after a few seconds. Fixed a bug that was preventing the Enter key okaying dialogues on OS X. Fixed a bug that was causing strokes to shoot off down and right when using a Genius tablet on OS X. Fixed some bugs that could cause the layer stack to update incorrectly when Merge All Layers was selected, or after Undo. Fixed a bug that could cause artifacts on the trailing end of Tablet PC strokes. Fixed a bug that was causing ArtRage popup menus to behave incorrectly when they overlapped each other. Fixed a bug that could cause empty tool settings panels to appear if tool selection was changed while the interface was hidden. Fixed a rare crash bug encountered when opening some Photoshop documents. Fixed a problem with printing whereby a black box would be printed on output with some older print drivers. The eraser tip on the top of a tablet stylus should now work again. The tick mark in the automatic update check Preferences menu item should now be ticked correctly when the feature is active. Some problems with G3 processor compatibility have been solved. This version is available in English, French, and German for Windows and OSX (PPC and Intel Universal Binary). ArtRage Auto Updater The ArtRage Auto Updater included in version 2.2 allows quick and easy updates when a new version is released. Mac OS X Universal Binary ArtRage 2.2 OS X is now a Universal binary for PPC and Intel Macs. Photoshop Blend Modes ArtRage 2.2 supports all of the blend modes in Photoshop CS2. You can access these from the Layer Blending menu in the Layers Panel. Blend modes are imported and exported with PSD format documents. Improved Memory Management Memory use has been improved so that large documents with multiple layers use significantly less memory than in version 2.1. PTG File Thumbnails Your painting files are now given thumbnails in your OS. Magnified Precise Cursors There is a now an option in the Preferences Menu to magnify the Precise Cursor to make it more visible. Glitter Shape Glitter now has 5 options for the shape of glitter applied. Grain Roughness Range Paper grain roughness can now be taken to negative numbers to invert the texture pattern. Art Pen Option The Felt Pen now has an ‘Art Pen’ option that allows a denser pigment to be applied. Color Sampler Added options to the color sampler to sample the true paint color and from a single layer if required. Oil Thinners The Oil tool now allows you to thin your oils significantly. Everything over 50% thinners starts to make the paint transparent. Reference Image Zoom You can now zoom the contents of reference images without changing the size of the reference pinned to the canvas. Metallic Value Control You can now adjust the level of metallic color applied to your paint. Tablet PC Numeric Entry Adjusted the Tablet PC build so that using handwriting recognition to enter text in to the ArtRage numeric text entries is easier. Progress Bar Added a load progress bar when launching ArtRage by double clicking a file. Show Panels Notice Fading When you right click or press Enter to hide the panels, the notice telling you how to bring them back now fades out after a few seconds. Fixed a bug that was causing the color sampler to sample transparency checkers on transparent layers. Fixed a bug that was causing checkers to be exported to the background of transparent PNGs. Fixed a bug that was causing metallics to be lost when merging layers with papers that had metallic values and were at less than 100% Opacity. Fixed a bug that was causing the ‘Remove All Colors’ option to be available in the color swatches menu when there were no swatches to remove. Fixed a bug that could cause the canvas to go blank when the painting was scaled down. Fixed a bug that was causing the alpha value of the feathered edges of the airbrush to be lost when when exporting to a layered PSD file. Fixed a problem that was causing spotty results in the trailing edge of an airbrush stroke when running with Mouse Mode on. Adjusted Canvas Rotation so that rotate and zoom happen around the centre of the screen. PS. Try loading a tracing paper and using Glitter with Automatic Color Selection turned on. Reworked the Palette Knife to improve smearing and blending quality. Added a ‘Dry Brush’ function. When you take the Oil Brush Loading to 0% the brush applies no paint, you can use it to blend existing paint as if it was clean. Added a ‘Quick Mirror’ function that allows you to do a quick ‘mirror check’ of your painting. Holding down the H key flips your painting horizontally, holding down the V key flips it vertically. When you release the key, the painting returns to its normal orientation. This function is for people who like to be able to do mirror checks of their work to check for structural problems. You can now change the background colour used by ArtRage. If your canvas is smaller than the ArtRage window, select the colour you want and Alt/Option-Click the background. The default colour is white. Added the name of your current painting to the titlebar of the ArtRage window. The Spacebar can now be used to move the canvas. Hold the spacebar down and left click/drag to move the canvas. When you release the spacebar, your selected tool will work again. To rotate the canvas, hold down the spacebar then the Alt/Option key and left click/drag the canvas. Changed how ArtRage stores its registration and user preference information so that multiple user accounts on one machine will have easier access to the application. Added the ability to ‘oversize’ tools. When you single click the tool size preview you are prompted to enter a percentage value for the tool size. You can now manually enter sizes up to 500%. You can stil only use the standard size preview slide functionality to reach 100%, but some users had requested larger tools. Please note, you may experience some unusual behaviour in tools over 100%, we do not suggest using this feature unless you are working on extremely large documents. Removed the painting’s file name from printed output. Adjusted the felt pen to make it cut in to bump when you use it with moderate to high pressure. Adjusted the flow rate of the airbrush to improve its look when used with the mouse. Increased the base size of the roller so that it can get larger. Fixed some bugs with the PSD import/export system, generally related to empty or 0 size layers. Fixed a bug that was preventing changing paper settings prompting the user to save the document at appropriate times. Fixed a bug that prevented the bottom layer being dragged up in the layer stack. Fixed a bug that was causing the wrong canvas grain to appear in the canvas grain sample when creating a new document. Fixed a bug that was causing incorrect updates in the canvas grain sample of the new file dialog when loading a custom grain. Fixed a bug that prevented users right click/dragging the canvas to move it on OS X. Fixed a bug that caused ArtRage to fail to load (with a file not found message) on OS X when launched from an account that did not ‘own’ the application in terms of permissions. Fixed a bug that caused artifacting when moving a canvas that had been rotated 90 degrees. Fixed a bug in the right click and hold tools (Airbrush and Glitter) that caused problems for Tablet PC users. Fixed some smearing/smudging problems with glitter relating to when the paint was considered wet. Fixed a bug that caused paintings created at unusual aspect ratios to appear off centre when displayed for the first time. Fixed a bug that was causing opaque paper above layer 1 to be removed when merging. Fixed a bug that was causing the felt pen to behave incorrectly when used with high Wetness on layers with transparent backgrounds. Blending should work properly now. Fixed a bug that caused multiple transparent layers stacked on top of each other to produce halos around dark strokes. Fixed a bug that caused custom paper grains that had colour to be loaded incorrectly when converting to greyscale. Fixed a bug that caused ArtRage to close after trying to load an invalid file. Fixed a bug that caused ArtRage to lock when double clicking an invalid painting file to load it. Fixed a bug that would prevent overwriting canvas presets from the New File dialog even after being prompted to confirm the action. Corrected some errors in the shortcut keys listed in the manual.